I have always drawn from observation. From the age of four or five I drew continually, often at first copying Walt Disney characters, but later on trying watercolours of the countryside where we lived. 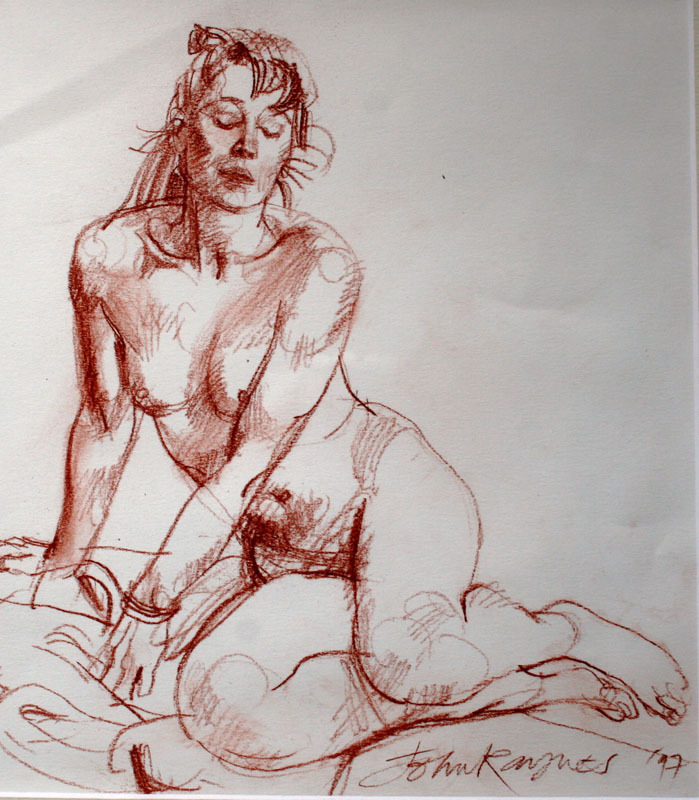 What I drew in my school years is faded in the mists of time but I won the art prize every year so I must have being doing something and by the time I reached Art School where life-drawing classes were held three times a week, I was completely obsessed by the human figure. Drawing from life was then considered to be an essential part of art training and although now to some extent discredited, I still believe that it has value, if only because it is so difficult to do well and so obvious when it is done badly.